In this part we configure our two templates which will be used by all members of the business. Before any virtual desktops can be deployed, an operating system template must be configured. A number of options are available, but the one of the design requirements (see part 1, Requirements, R1) is that the latest Microsoft OS must be used. At the time of writing that is Windows 10. The process of creating a template for the two pools is almost identical, but the last step in the process differs depending on the type of pool. You do not need to set the amount of video RAM as this is overridden by Horizon View. Set each device to disabled. Press F10 to save and exit. Click Yes. Each virtual machine will now reboot. Patch each VM with the latest updates and add to the domain and then reboot again. Download the VMware OS Optimisation Tool fling from https://labs.vmware.com/flings/vmware-os-optimization-tool. Extract the zip file and copy to each virtual machine. The lower right-hand pane lists a number of potential optimisations which can be made. Exit the OSOT, delete the executable and then reboot each virtual machine. 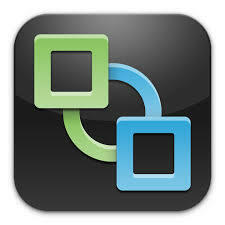 Download the VMware View Agent software from VMware and copy to each virtual machine. At the time of writing the latest version is 6.2.1. Click Yes. Each virtual machine will reboot. 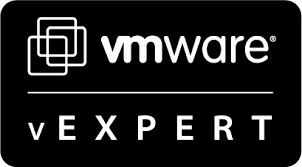 Once you have installed the VMware View Agent and rebooted, install any applications you would like each machine created from these templates to have. For example, each user that will receive a virtual desktop as part of this project requires Microsoft Office 2013 Standard, so this will be installed on both golden images. When you have installed all necessary applications, remove all installation media and setup files copied to each virtual machine. Empty the recycle bin and delete any temp files. Also empty the event logs. Finally, shutdown each virtual machine. A customisation specification is method of customising virtual machines, in this case ones that have been cloned. In the next few steps we will create one for View to use with our golden images. In vCenter, click Home followed by Customization Specifications Manager. Click New. To ensure our newly created customisation specification works as intended it will be tested using a simple clone operation prior to using with View. Select a host for the clone and click Next >. Wait a while for vCenter to finish customising the newly cloned virtual machine. This often takes a few reboots. If the customisation specification worked as intended, the cloned VM should receive an IP address from DHCP and be added to the domain. If not then you will need to go back and investigate where the issue lies. Two of the pools that need to be configured require full desktops, while the other two are to be configured as linked clones. Full desktops can only be created from virtual machine templates, whereas linked clones are created from snapshots. Therefore we require two templates and two snapshots. $goldImage = "Windows 10 Gold 64-bit"
Edit the properties of the Windows 10 Gold 64-bit virtual machine and increase the memory to 16GB. $goldImage = "Windows 10 Gold 32-bit"
Edit the properties of the Windows 10 Gold 64-bit virtual machine and increase the memory to 4GB. In this part we configured our Windows golden images to be used in our desktop pools. We installed VMware Tools, the VMware View Agent and optimised the OS. We then created a customisation specification and tested it. Finally we created two templates and two snapshots from our images. In part 4 we install and configure the Remote Desktop Session Hosts needed for providing applications to our remote users.